With the summer heat bearing down on us, a refreshing drink can be a blessing. It’s important to find the perfect drink to pair with our picnics, backyard barbecues, and beachside adventures. Discovering something that’s delicious, sweet, and refreshing will make you welcome at any summertime hang out. This week we’ve found the Vodka Lemonade Slushies. Vodka lemonade combines our own childhood memories of summer with the maturity of adulthood. 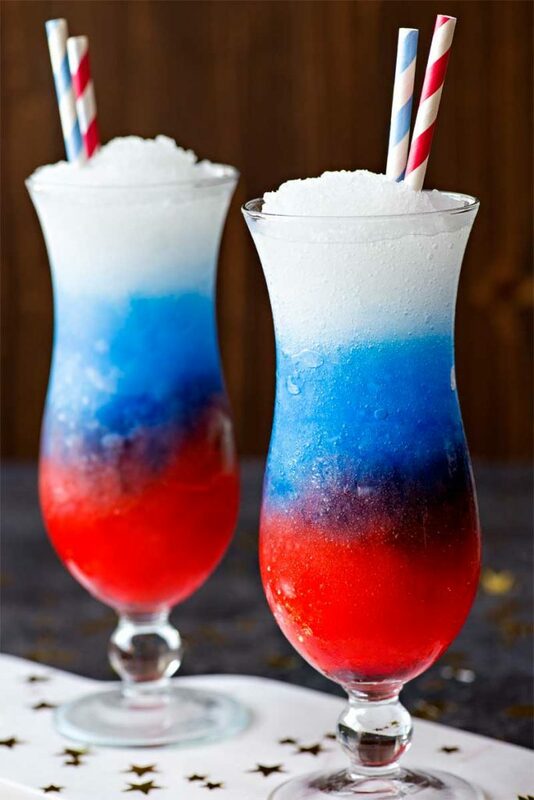 Making it red white and blue just gives it that kind of American spirit that makes it perfect for any July 4th celebration. Use a food processor to crush 3 cups of ice with Blue Curacao together. It will also help if this layer is extra thick too, feel free to use the same trick mentioned on the last step here. Blend vodka, lemonade, and the remaining 3 cups of ice together until slushy. Layer the 3 blends with grenadine on the bottom, Blue Curacao in the middle, and the lemonade on top. What do you think of Vodka Lemonade Slushies? Let us know on social media or in the comments!